WebMSX, or simply WMSX, is an MSX emulator by Paulo Augusto Peccin (or ppeccin here on MRC) that runs on the web. It is easy, it is quick. 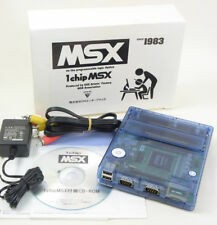 Run your fave MSX game anywhere, without installing any piece of software. You can launch the emulator and load ROMs, DSK and CAS images with a single link. And with the new release there's even more to enjoy. WebMSX 5.1 is live. 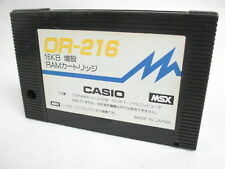 There are a few MSX emulators out there, all doing what they do best. While some aim for accuracy, WMSX aims for ease of use. It is a web-based MSX emulator that features a few different machine types supporting MSX1, MSX2 and MSX2+, support for audio chip and other extensions, save states, drag-and-drop for media, screen captures, and more. 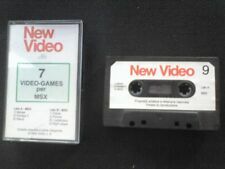 It even has NetPlay, in which any number of users may connect and control the same virtual MSX machine. This beast is just getting stronger by the day. If you want to see the thing in action, check out the File Hunter his page. 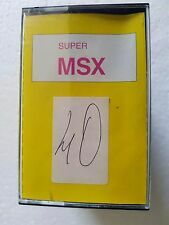 It is stuffed with MSX goods, running on WMSX! Hello ppeccin, I really like WebMSX, and after attending the lecture in Sao Paulo, I respect your work even more. Thank you for this release with cool features.